Jet has moved away from simply selling price to its core competency of being a full service carrier. Sources indicate that an increased focus on key business routes, increased international flying and realigning slots towards international routes is under-way. This is reflected in the airline’s revenue performance where the revenue per available seat kilometre (RASK) of Rs 4.37 which was the highest amongst all quarters for the year. The alliance with Etihad continues to help with feed the network and the airline transported 6.02 million passengers for the quarter and 23.3 million passengers for the year. Jet has an increased focus on efficient operation which is reflected in their cost per available seat kilometre going down to Rs 4.15 for the fourth quarter and Rs 4.10 for the year (15% reduction year-on-year). Looking at quarterly trends the CASK went down by one per cent in Q2 vs Q1, five per cent in Q3 vs Q2 and seven per cent in Q4 vs Q3. While the CASK was influenced by fuel price declines, the focus on efficiency is quite evident. Aircraft utilization has been improving and stands at 13.2 hours per aircraft across the network for Q4 and 13 hours per day for the full year. Looking at a domestic and international split – on the international side with an average fleet of 35 aircraft in Q4 utilization was at 16 hours per day (due to the longer stage lengths) while domestic utilization of 12 hours per day with a fleet of 61 aircraft. Jet has managed to increase capacity without a fleet increase by driving utilization and given the soaring demand this capacity has been absorbed by the market. Load factors also were impressive with fourth quarter load factors at 81% and 85% respectively for domestic and international, while for the full year load factors came in at 80.6% and 83% for domestic and international. Given that break-even load factors for Jet are in the range of 70% – 75% for international and 77% – 80% for domestic, it is evident that the international operations significantly contributed to the overall profitability. The focus on efficiency and soaring demand coupled with lower fuel prices was reflected in Jet’s financial performance. Passenger revenues for the year came in at Rs 179,246 million which were 9% higher than the previous year. The EBITDAR margin was 20% with the EBIT margin coming in at 6%. With targeted sales and strong engagement with the travel community, domestic revenue per passenger was almost Rs 6,000 while international was Rs 13,500 excluding ancillary income. Remarkably Jet reported 16% of sales from the web and has a target to increase this to above 20% which is quite ambitious. Web sales carry minimal costs and this strategy will help reduce cost of sales further. Jet is also attempting to break consolidator influence by adjusting commissions and if successful this will also have a positive impact to cost of sales and overall revenue performance. The debt on Jet’s books has been a significant cause of concern with the investment community and Jet has undertaken debt reduction measures. Jet reports having repaid Rs 7,930 million of debt in the fourth quarter and Rs 16,800 million for the year. However, it is unclear if this is a debt recast and repayment of debt by replacing debt on better terms or how this repayment was structured given that the EBIT for the year came in at Rs 12,190 million and even after exchange rate adjustments and accounting for extraordinary income our numbers do not balance out. The annual report of Jet will likely have additional information on this aspect and will need to be studied. Finally, Jet also renegotiated several contracts including maintenance, credit cards and airport contracts which further helped in a cost reduction. The acting CEO has indicated that a control on costs will be a core focus and the first quarter of this financial year, FY17, will reveal how far this goes. While the airline did well this year, challenges have started to creep up. Jet continues to work with an acting CEO and the strategic partnership with Etihad seems to be a cause of consternation with long-time hands at Jet. 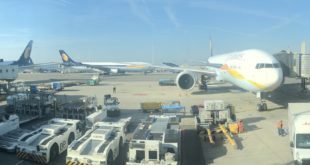 Jet has also been moving out from smaller cities with slots being shifted to international flying – which tends to indicate that the focus on feeding the network of Etihad continues. Pilot staffing is an issue with a number of pilots resigning from the airline putting further strain on existing pilots and forcing a greater reliance on the more expensive expatriate pilots. Full service carriers like Vistara are grabbing the premium flyers from Jet and the anticipated policy change especially on the 5/20 rule will only exacerbate this situation. 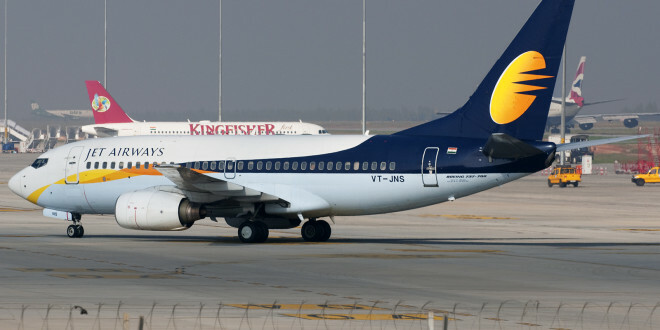 With capacity induction by all carriers, downward pressure on yields continues and has forced a Rs 200 million marketing campaign by Jet; its first in a long time. Overall, it was a strong year for Jet. The profit reported for FY16 was the highest ever annual profit in its history and beat the profit target set by the turnaround plan both in numbers and by time (plan had the return in FY17). 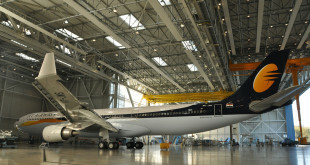 With strong demand continuing in the Indian market, Jet seems to be well positioned. Yet with oil prices creeping up, declining oil prices and the impact on demand from the Middle East (a core market for Jet) and intense competition in the domestic segment, to continue this performance could be extremely challenging this year.